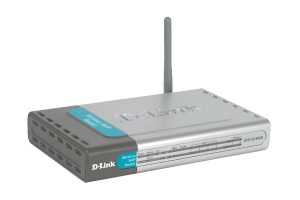 The D-Link DVG-G1402S VoIP Station Gateway is an ideal Internet telephone solution for office use. 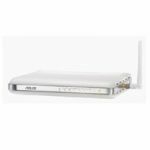 It combines the industry's latest Voice over the IP network technology with advanced communication features, and is compatible with any phone service. This device converts voice traffic into data packets for transmission over the Internet. It is inexpensive and easy to use, providing the convenience and great savings for companies needing to place frequent long-distance and international business calls. The DVG-G1402S provides homes and businesses with an easy and inexpensive upgrade to Internet telephony while allowing them to retain their existing telephone and fax equipment. It allows users to protect and extend their past investments in telephones, conference speakers phones and fax machines, as well as to control their migration to IP with a very affordable and incremental investment. The DVG-G1402S delivers clear sounds, voice and reliable fax calling through implementation of internationally recognized standards for voice and data networking. It incorporates Quality of Service (QoS) functions to ensure that voice received through the Internet is the same as or even surpasses that received on the ordinary phone. This DVG-G1402S supports many useful functions, allowing the service providers to offer these functions to their subscribers. 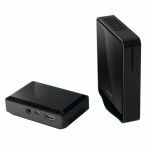 Provided that the telephone sets at the end-users side support these functions, callers can take advantage of these convenient features. Call function support includes attended call transfer, call forward (busy, no answer, unconditional), call hold and retrieve, call waiting, caller ID display, anonymous call blocking, and 3-way conference. 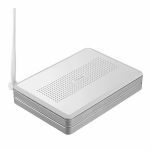 The DVG-G1402S provides built-in router function to permit sharing of the broadband line for Internet access in your office. Built-in NAT and DHCP server functions automatically create an IP address and assigns it for each user, simplifying everyone's logon operation. Built-in Wireless LAN and 4-Port Switch. The DVG-G1402S incorporates 802.11g wireless LAN and 4 10/100Mbps Ethernet ports, providing ready connection for workstations and servers. This saves you the cost and trouble of installing a separate wireless access port and an Ethernet switch.